Think of it this way….you’re spending how much money on the day?! Why wouldn’t you get something that you can watch to relive it every chance you get? My sister didn’t get a videographer for her wedding and she regrets it (didn’t even get to see the “walk in” dances at the reception). My wife, Brittany, and I chose Matt and his team and couldn’t be happier. We have watched the movie a dozen times (not to mention the deleted scenes, bloopers, etc). He is ABSOLUTELY worth every penny. Best decision we made for our wedding! Thanks MV Film Productions! You guys killed it! 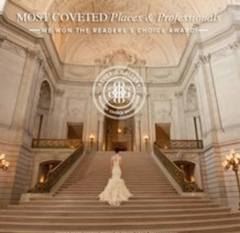 Matt and his team were a bride’s DREAM vendor to work with. 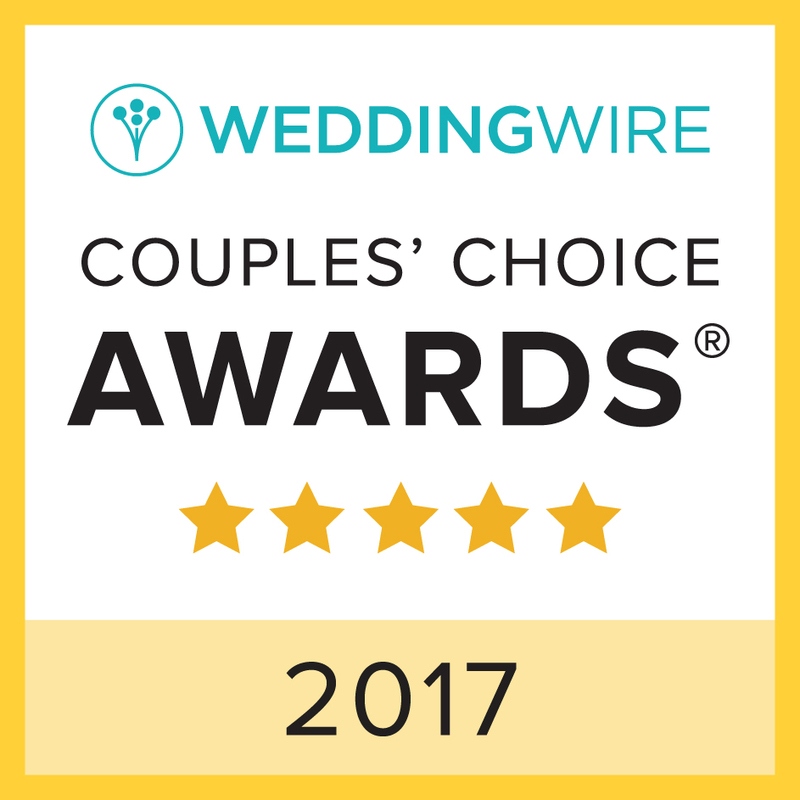 They are so responsive through email, they do all of the work to plan the meetings and make sure that all of your needs are met, and they go above and beyond to create your dream wedding. My husband and I could not have asked for better from them. We even received our first trailer THE DAY AFTER the wedding… unreal! All of our guests commented on not only how fun and nice they were, but how unobtrusive they were – you never even noticed them there. The guys were also the nicest people I have ever been around. Having them there when we were getting ready was so nice because they helped with anything we needed, even if it had nothing to do with the video. And when we were outside taking pictures and filming Matt’s assistant was constantly checking on me to see if I was cold or if I needed something. We have never been so thrilled to work with someone. 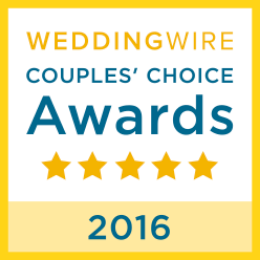 They made our wedding absolutely perfect, and the product is totally top notch. You will not find a better videographer or PERSON to have around on your wedding day! We love MV! Matt was absolutely awesome to work with. He was flexible around meeting times, responsive to email and text and phone calls. Always explained everything to us and there was never any pressure. The day of the wedding he was great..so much fun to have around actually! And of course the videos were great. My favorite is actually the teaser he sends less than day after the wedding, awesome! I can not say one bad thing about Matt & MV Film Productions! They were very helpful, informative, and easy to work with from the first phone call on-ward. The day of my wedding was worry-free thanks to them! Matt is like a ninja, I barely even noticed he was there yet he captured every little detail of our big day. My husband was impressed as well, as he does not like pictures/videos taken of himself, he felt they were not over-bearing and very easy to work with. Everyone loved them and they were very pleasant to work with my other vendors as well. The sneak peak video was the perfect touch (received 2 days after the wedding, amazing!) THANK YOU SO MUCH MV FILM PRODUCTIONS! Matt and his team were an amazing addition to our wedding day. Having a wedding videographer was a last minute decision, but we are so happy that we made that call. From our first conversation with Matt, until we received our finished video, he was truly a pleasure. Matt was so professional and organized and really genuinely got us pumped for our wedding day. We are so happy with the whole experience with MV Film Productions. I would recommend him to anyone and everyone. The day goes by so quickly that a videographer is crucial to capture all of the memories. If you are shopping around for a wedding videographer, look no further! My husband and I had the pleasure to work with Matt and his team at MV Film Productions for our May 2016 wedding. Matt is so passionate and enthusiastic about what he does and it is so evident from the first moment you meet him. Besides his great cinema skills, he is punctual, reliable, has great attention to detail and is an all around, fun person to have working with you on your wedding day. At our first meeting and every subsequent meeting we held to plan the day, Matt’s consistent theme focused on how his video was going to portray a story of our big day. 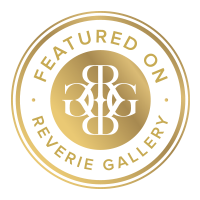 The final product does just that and more – It is an absolutely beautiful story that seamlessly transitions through all aspects of the day from hair & makeup prep all the way to the end of the reception. I still cry every time I watch it and am so thankful to Matt and his team for providing us with this video that will be cherished for a lifetime to come. All I have to say is please make a smart decision and use Matt (MV Film Productions LLC) and his team for your special day. Just absolutely wonderful and easy to work with. Turned our rainy day into a magical day that we both will cherish for the rest of our life. His video and pictures were just so amazing and we continue to get compliments from people. They were with us right from the start to the end of the night. What more to say is MV Film Productions LLC is highly recommended….. Excellent work. My husband and I had some unique needs with our wedding and Matt was able to accommodate us completely! He and his team were professional and responsive throughout the entire process and were able to capture our day beautifully on fairly short notice. The final video exceeded our expectations and we’re so glad we went with Matt and his team! Planning a wedding can be a very stressful time and Matt helped ease our burden through his suggestions and vendor recommendations. Filming can sometimes be an awkward thing but my husband and I felt at ease the entire time. Matt and his team at MV Film Products were incredible to say the least! Matt knew exactly what we were looking for in our wedding film and both the film and preview clip he delivered were amazing! Our guests are still talking about how much they loved our preview! The best part about Matt’s team is he captured every moment without even being seen! He was not following my husband and I through out the night, most of the time I didn’t even realize he was even there which is what we loved so much about Matt. And still he got every important shot and created a beautiful memory for us. I would recommend Matt to all of my closest friends and family for sure! Thank you Matt! Matt and his team were awesome to work with. Very professional, but also fun. They made us feel so comfortable on our wedding day and all the days leading up to our big day. Matt is very accommodating and was always quick to respond to any of my questions or concerns. Their work is phenomenal! I would definitely recommend Matt to anyone looking for a wedding videographer. I absolutely love my wedding preview and film! The experience with Matt and his crew from day one was wonderful. At every meeting Matt was energetic and fun. He was very down to earth and made the whole process of choosing him very easy. He had films online he was able to show us when we met with him. We appreciated his take on filming our day and made it as memorable as it could have been. The short clip of our day was so lovely and still months later we are getting comments on it. It all came together so well. When we were taking our portrait pictures he also captured a still shot that I absolutely love. He knows which one this is because even though he was not our photographer I had emailed him asking for it because this is the image he used on our DVD’s he made us. When we watched the DVD at first there was a slight glitch in the picture, and although it was disappointing at first I literally texted Matt from my couch asking about the glitch. The CD has a glitch in burning because what he had on the “Master” didn’t have it. He fixed the problem that night and sent out the new one. Very impressed. I was also quick to ask when we received the DVD of our day if he could make the DVD in UK format because I have relatives (literally my entire family) from England. He made 3 additional copies in the format for me to be able to send home. I thought this was a nice touch. Matt worked well with all the other vendors that day and we would recommend him to those looking for a personable, energetic cinematographer. Thanks MATT!! I cannot say enough wonderful things about Matt and his team at MV Film Productions. He was recommended to us from out photographer, HK Photography. They’ve worked together on numerous weddings. They bounce ideas off each other and work well with each other. The two companies together make memory magic. Once we met with Matt we knew right away that we needed to be our videographer. His passion, excitement and enthusiasim is contagious. He is proud of his work and rightfully so. Through all the stress of planning, Matt truly made me excited again. We had an initial meeting with him, then a meeting to sign the contract and one more meeting the week before the wedding. He is professional and responds to emails/texts/phone calls promptly. The morning of the wedding, 8/6/2016, he showed up early to start detail shots. He brought a second photographer, Abraham, who also shot with him. Matt and Abraham work discreetly. They were never in the way, it was as if they were never there. But their work truly proves differently. Matt used a drone to get beautiful aerial shots of the venue. Also used a go pro to get amazing time lapse imagines. The day after the wedding Matt had already put together a 2 minute teaser clip of the wedding. The quality of his work is simply amazing. Our families and my husband and I were over the moon. We CANNOT wait for the full video! Definitely look into MV Film Productions! MV Film Productions is out of this world!!! Matt is simply the best! He is extremely talented and has a gift for creating a film that captured our wedding day perfectly. We got married last month and I could not be more thrilled with our choice of having him shoot our wedding and create such an unique and creative video of the day (which started in the morning with hair and make-up at the hotel until the last dance with the band at the venue- they got everything!). Matt is super fun and easy going and never felt intrusive. Most of the day, we did not even know that he was there, however he got the most amazing shots and the sound and quality is outstanding. There are no words to describe our preview video that we received WITHIN 24 hours- I cannot wait for the full length ! It brings tears to my eyes because he captured the day just perfectly and I am so grateful of that. Matt is very professional and met with us several times before the wedding- in person and even by Facetime- because we were in Boston and he was in CT. Even in the early stages of planning for the wedding, Matt VERY helpful and helped us create our first timeline for our big day and made sure that we thought of every detail when planning out the “who, what, where, and when”- his experience with weddings and advice is extremely useful. Matt brought a team who were all extremely professional and talented. I appreciated how well that Matt and his team worked with our other vendors, especially our photographer, prior to and on the day of the wedding. From beginning to end, Matt was attentive and thoughtful and I would highly recommend that you use MV Film Productions to capture the perfect video of your wedding day. You will not be disappointed!!! Matt and his team shot our wedding in October 2015. After our first meeting with Matt, we just knew he was the right fit to capture our wedding day! He has such a beautiful, cinematic style that makes you feel like you are truly watching a film. He has an easy going personality, but is super passionate and excited about his work. Matt’s talent, demeanor, passion, and artistry made the whole process seamless and enjoyable. He was very detailed to ensure that he captured every aspect of the day that was important to us. His creativity the day of our wedding led to some really incredible footage. A couple days after our wedding he posted a sneak peek on Facebook and we were so excited to watch it while we were on our honeymoon. We got so many compliments from friends and family who enjoyed watching it as well. And even better was the full length film that we watched beginning to end and enjoyed every single moment! It was so much fun to relive such an amazing day, and to laugh and cry, and see things all the little things (and hilarious dance moves) that we missed. We got such a kick out of watching our bridal party entrances at the reception that we didn’t get to see because we were the last to come out. This film is so special to us and something that we will always cherish. Having a wedding film is so worth it and not something that should be overlooked. Matt is the best and goes above and beyond to make his couples happy! Thank you for everything Matt! Matt and Abraham were impeccable from start to finish. The quality of work is beautiful. I have received so many compliments about how appropriate they were during the whole wedding and how they weren’t “one of those wedding videographers” that were blocking guests views. You never knew they were around, and somehow got beautiful shots of our whole wedding. Even the little bloopers that my husband and I had during the wedding, which was so “us” that made it so much more personal to us. We could have not have asked for a better videographer company to have done our wedding. I’m so grateful to have found Matt and chose him for our special day.  I HIGHLY recommend MV Productions to anyone looking for a wedding videographer. The fast responses via phone and email, the quality of service, and the great staff show from beginning to end! Deciding to have a videographer occurred late in the planning process, but it was a decision we would definitely make time and again. We had seen Matt’s work through “sneak peeks” of other weddings, but it wasn’t until we saw ours that I realized just how talented he really was. Matt’s knowledge and experiences with weddings, in addition to his attention to detail played a vital role in helping us with the logistics and details of our wedding day. Matt has a keen eye in his profession and his creativity creates ordinary situations into beautiful cinema! MV Film Productions is outstanding! They are professional, upbeat, outgoing, and organized! From the first day I met with the company I knew we were in good hands. At our initial meeting, Matt, was full of great ideas to capture our special day. He has such enthusiastium for his craft. This stood true throughout the entire planning process up until the last minute of our wedding. MV Film Productions captured every moment of our magnificent day. From the guys getting ready to the girls getting ready (at 2 separate locations). They were there for the first look, first dance and while we danced the night away. The day goes by so fast and we now have an amazing video to reflect upon over the years to come. His videos are amazing and truly capture the full day! I recommend MV Film Productions with the highest regards. Matt was absolutely amazing. Not only did he make time during his busy schedule to meet with me last minute as we were not sure if we wanted to spend the extra money on video or not. From the first day we met I knew our video was going to be amazing. He always answered my emails in a timely manor and always had great ideas in the back of his head for our big day. I would totally recommend you use MV Film Productions for your wedding video and you wont be disappointed. Matt was wonderful to work with! He was fun, friendly and an overall great guy. His work was unique and creative. The turn around time for his video was incredible. We were enjoying our first view of our wedding the very next day. We highly recommend him. He was worth every penny! Matt is professional, organized, patient, talented, and passionate. From the first meeting, he throughly explained what he has to offer and all that is included without feeling rushed. I gained trust in Matt from the beginning. When we had any questions, he was always quick to respond. Matt includes an engagement video just to get to know couples and to build a relationship with his clients. My husband and I chose two places that were far in distance and Matt agreed without hesitation at no extra charge. Matt is incredibly talented and truly has an eye for detail. He has years of experience not only in filming but audio as well. Matt uses the most updated equipment/technology. At our wedding, while he was operating the Drone, several guests asked questions and Matt didn’t hesitate to answer. A few weeks after the wedding, I asked Matt to add something into our film that was a gift we received and I had forgotten to give it to him on the wedding day, Matt agreed when he could have refused especially after the wedding day. As a bride, many things we don’t see until seeing the film. The film was ready within weeks after our wedding and I would gasp in awe at several clips. When my husband and I speak of MV Film Productions, we speak with confidence. We would highly recommend hiring Matt and his team to anyone. Even if you aren’t considering film, set-up a consultation and give it a chance because you won’t regret having it, although you may regret not having it. We used Matt/MV Film Productions for our March 2015 wedding and couldn’t have been happier with the level of service, professionalism, ease of working together and most importantly the end result. Matt was extremely thorough from the first meeting to the last, and he always talks about the “details” but boy did he capture them. We are so thrilled with the final products and he went out of his way to accommodate our event needs. HIGHLY Recommended!!! If you’re on the fence about getting a videographer, do it! Matt came up to Boston and shot for our 2/21/15 wedding. I cannot recommend him more highly, and based on his reviews, I am not alone. He is professional, experienced, and timely in his correspondences. He communicates well, and exhibits sincere interest in capturing your wedding, from the big moments to the small details. He uses high quality equipment and is constantly evolving his techniques. What I enjoyed most about working with Matt was his enthusiasm and passion for what he does, and I truly feel that it translates into his work. He doesn’t hesitate to go that extra mile. He drove all the way to Boston before our wedding to scope out the wedding sites, just for the day, on his own initiative. He is creative and collaborated well with my photographer. I am so excited that I will have these memories to look back on for the rest of our lives. Go with MV Film Productions! We knew Matt was the right choice from the first meeting we had. He is passionate about what he does and knows exactly what he is doing. Between Matt and his assistant Abraham we had over 12 hours of footage filmed. We have since watched our “sneak peek” and our edited version of the full day and could not be happier. Matt and his team were simply amazing. They were everywhere at once and yet they never interfered with anything going on during the ceremony and reception. The shots that they were able to capture were amazing and the first time we watched the video my wife and I felt we were right back at the wedding. By far the best money spent on the wedding. I can’t recommend him enough. His work is amazing and I can’t wait to watch our video again!